At some point in your lifetime as a surfer you’ve taken at least one surf lesson – usually on vacation in some exotic local with a foammie learning to pop-up on the beach by some local surfer. Next thing you know you’re in the water being pushed into your first wave. If you’re lucky, you’re able to stand up and ride the whitewash all the way to the beach….huge smile on your face and eager for your next wave. But this classic approach to surf lessons is not what you will find with Dion Mattison at his surf school Conatus Surf Club. He takes a very different approach focusing on wave education, water safety, and building a connection with the ocean. 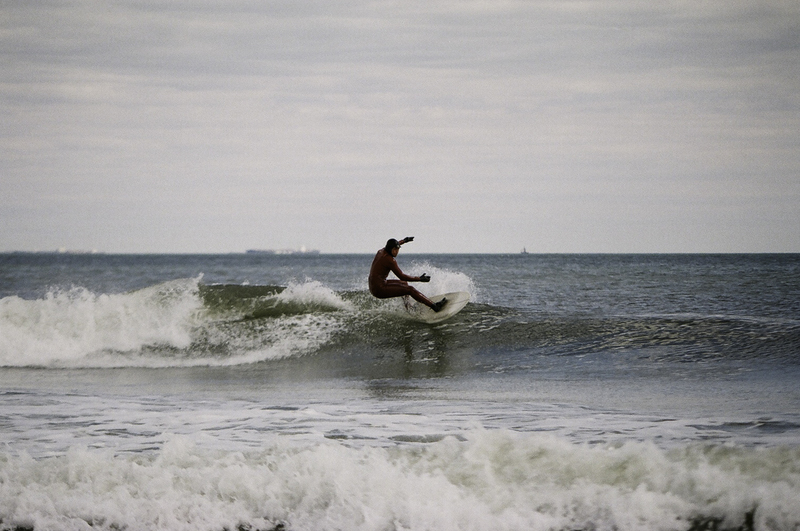 We spoke with him about his methodologies and what inspired him to found Conatus Surf Club. You started surfing at a very young age. 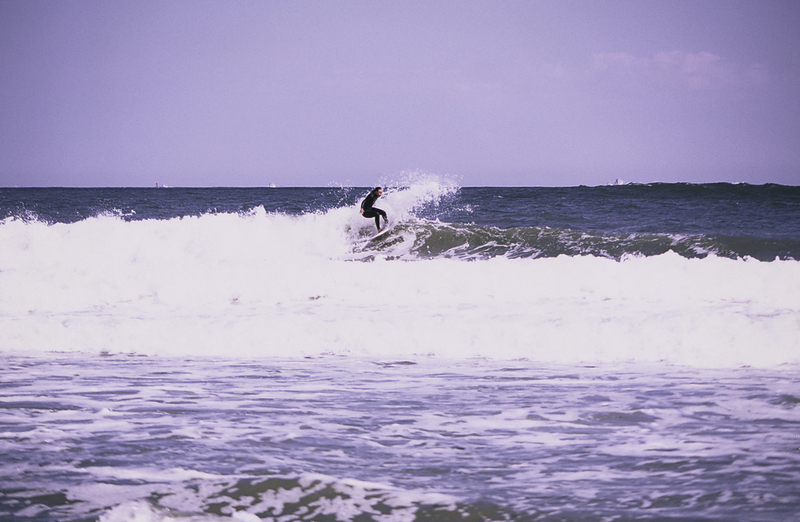 How has surfing shaped your life? The most basic answer is that surfing has shaped my life entirely or, put differently, my whole life has been shaped by surfing. This means temporally, geographically, spiritually, physically. Surfing is the first thing I think about when I wake up in the morning and the last thing I think about when I go to bed at night. I mean I literally check the buoys before falling asleep and then when I wake up the first thing I do is look at the Surfline cams and check the buoys again. I factor surfing and how much I’ll be able to surf into every decision that I make. Of course I do make sacrifices, but they are always considered sacrifices insofar as I’ll have to go without surfing for a bit. What inspired you to start Conatus Surf Club? I have been teaching private lessons based on my unique method (see below) for the past 13 years. I didn’t have a business license or a brand until this year. I just stayed on the DL and worked via referral and word of mouth. Then two years ago a friend of mine really pushed me to make the business bigger, to brand it, etc. But it didn’t really sink in until I realized that I wanted to be able to provide a more stable system of support for my clients and community and that this would require a small bit of infrastructure. I started with the name. I took my PhD in philosophy (ABD—all but dissertation—at the New School) and brainstormed and came up with name Conatus, which is a term from the philosophy of Baruch Spinoza. Conatus is the noun form of the Latin verb conatur which means to endeavor or to persevere. I like to think of the conatus as the “engine of being”. According to Spinoza, the conatus wants to spin as freely as possible—this is what creates joy—suffering comes when the conatus gets held back, clogged, doesn’t spin as well. Ethically speaking, our conatuses spin better, i.e., create more joy when we pursue what we are good at and share our passion with others. Put differently, we need to help one another to unlock our potential. My special ability is in helping people unlock their potential to surf better. Hence the motto, more waves, more joy. I called it ‘club’ rather than ‘surf school’ or ‘academy’ because I want this to be about a whole lifestyle and I want people to feel like they’re equal members. It’s also a nod to the surf clubs of yesteryear and the ones that currently still exist in places like Australia. Your approach surf lessons by building a foundation of wave knowledge and building a bond with the ocean. How did you come up with your style of teaching? My model of teaching is built off of the one that I grew up with—off of the way my father taught me to surf and the way that other locals at my home break taught me to judge waves and position myself. It’s really based on a mentorship model more like martial arts and yoga, both of which I have a bit of experience with (more with yoga than martial arts). My foci are discipline and patience and proper judgment and form. The ocean is very complex and not to be taken lightly, even on small days (in fact a large amount of surfing accidents happen when it is small), so I really want to teach reverence for Mama O (full credit to my fiancé and business manager, Sophia Starmack, for this moniker). I also believe in learning through exemplarity. We need paradigms to fashion ourselves after. I always teach on a surfboard so that my students can see what correct form looks like. This doesn’t mean I’m catching waves the whole time, but there will be points in a lesson where I need to model wave judgment or show how to properly turn the board from the sitting position. The other main focus of my method is intentionality. Surfing is a fully intentional activity—different sessions have different (non-teleological) goals—sometimes that goal is just to feel more comfortable with the ocean. Also, I am continually learning things from other surfers, from those I find exemplary, and from my students and from other disciplines and integrating these into my approach. Flexibility and a willingness to adjust and grow are also cornerstones to my method. If you can offer up one piece of advice to becoming a stronger and smarter surfer, what would it be? I cannot underscore enough how valuable developing paddling form and skill is for your surfing. Besides ocean knowledge and judgment, which comes with time, surfing is all about paddling. One cannot be a strong and smart surfer if one cannot paddle efficiently, quickly, and gracefully. Beginners and intermediates need to practice paddling more than they need to actually actively judge and catch waves. In fact I’ve developed weekly paddling bootcamps designed specifically for this purpose (see website under lessons). What is the most positive aspect of teaching other’s to surf? It’s always that moment when I successfully teach a person to catch that first wave on their own. The stoke and joy that comes across a person’s face when he or she catches a wave based on his or her own judgment and paddling ability is absolutely unexcelled. No doubt a person gets stoked just standing on a wave he or she has been pushed into—but man, when one does it oneself the extra confidence is so palpable, so empowering. Every time this happens it connects me to the first wave I caught on my own. I’ll never forget that day. I was 6. I can still see it clearly, what the board looked like, the wave, everything. I screamed with joy afterwards. My dad was on the beach watching me. I was like, “Daaaaad!!! Did you seeee that??!!! !” I was so freakin stoked. 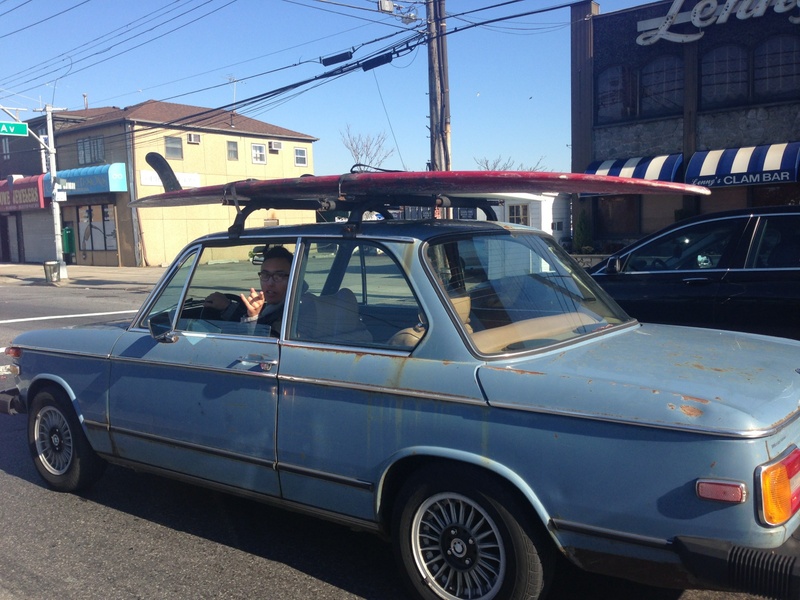 When you’re not surfing, where can we find you? In a book. You should see my desk—it is buried in books. My second or equivalent love next to surfing is reading. I usually have 5-7 books going at once. Thank you Dion for taking the time to talk with us. 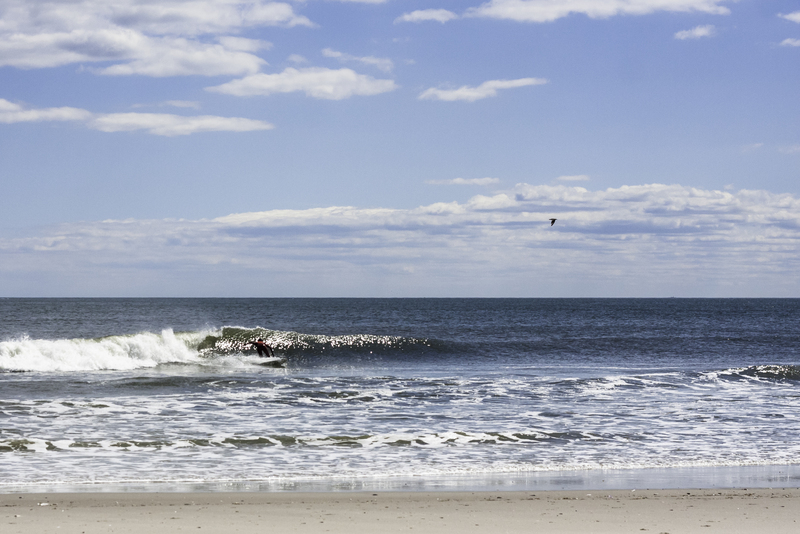 If you’re in Brooklyn on Tuesday, swing by the website launch party for Conatus Surf Club and meet Dion in person. Full details here.